Quotes for Commercial Truck Insurance Indiana – Available Seven Days per Week! If you need commercial truck insurance in Indiana we are available seven days per week online and five days per week by phone. For online quotes click truck insurance Indiana or call 1-800-998-0662 to speak with the trucking specialist at Pathway Insurance. You will be contacted in two hours or less in most cases by a licensed agent when using our online system. 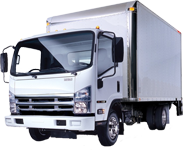 Commercial Truck Insurance Indiana- What is Required by Law? The minimum coverage amount required for liability typically is $750,000 in reference to for hire carrier transportation of nonhazardous property when the gross vehicle weight rating is 10,001 pounds or more. 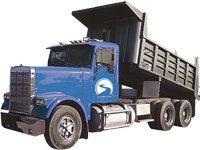 Private and/or for-hire carrier transporting hazardous material – $1,000,000 to $5,000,000. For-hire carrier transporting passengers in a vehicle with a seating capacity of 15 or fewer – $1,500,000. For-hire carrier transporting passengers in a vehicle with a seating capacity of 16 or more – $5,000,000. For-hire carrier transporting nonhazardous property in a vehicle with a GVWR of 10,000 lbs. or less – $300,000. The Federal motor carrier safety administration specifies who this applies to. Click this link to learn more. Are the Minimum Insurance Limits Sufficient for Indiana Truck Insurance? Unfortunately no one can predict accurately whether or not we will be involved in a claim and how serious that claim will be. $750,000 may not be sufficient to cover your legal obligation in the event of catastrophic property damage or injuries you may be responsible for. You should purchase a suitable amount of liability protection to cover not only your current assets, but future assets as well. One of our licensed agents can also include umbrella quotes to meet your individual financial needs. 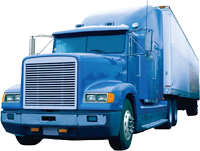 Call Pathway Insurance Today When Shopping for Indiana Commercial Truck Insurance. Call 1-800-998-0662 or click on Indiana commercial truck insurance to submit your information to us online. License agents are available seven days per week online. If you prefer to speak with a licensed agent by phone call Monday through Friday 9 AM to 5 PM Eastern standard Time.